From pampered indulgence to pared-down simplicity, the Naples area offers warm hospitality and endless ways to host travelers in every style of lodging. For those whose first requisite is unabashed beachfront luxury, Naples offers an exceptional selection of world-class resorts and a host of spectacular private condominiums overlooking the Gulf of Mexico. 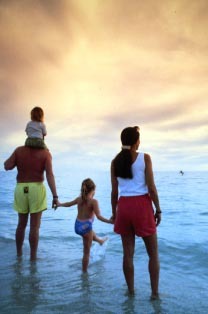 A variety of family friendly hotels and quaint inns also have staked their claim on a stretch of sand along the city's seven miles of beach, while a number of nationally recognized hospitality companies provide comfort, convenience and affordability just a few blocks off the beach and in nearby Immokalee and Golden Gate. The Best Western Naples Plaza Hotel is only minutes from the white sandy beaches of the Gulf of Mexico, and upscale shopping and boutiques in downtown Naples. Enjoy sensational dining, breathtaking golf courses, sunsets and attractions galore.